– Quote from a student from the International School after a week at Stairway. The seeds of concern that we plant in the hearts and the minds of the youth constitute our hope for a more just world of tomorrow. 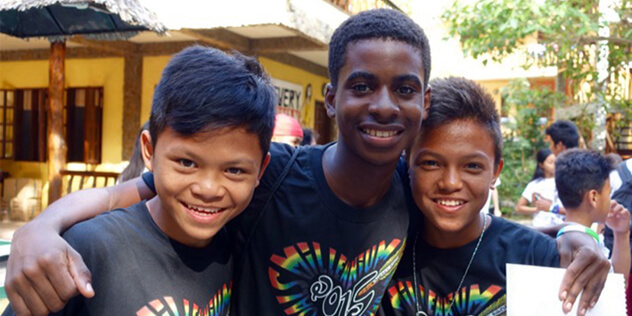 Since the inception of Stairway’s programs, the importance of bridging the worlds that lie between the children and youth from the streets of Manila, the indigenous children in the mountains of Mindoro, and those far more privileged have been emphasized. Our collaboration with Rødkilde Gymnasium and Roedovre Gymnasium in Denmark is very different from what we do with the many international schools and universities that come to visit Stairway. However, regardless of the nature of our collaboration with youth from around the world, all relations sum up in an active concern for peers, who in so many respects are far less privileged. Our longest standing collaboration with any school is with Rødkilde Gymnasium in Denmark. Since 1994, Stairway has made an annual appearance at the school in the form of presentations/lectures for the whole school and/or addressing the issue of poverty, street children and international development in the classrooms. For the same number of years, the entire school population has backed up behind our programs with significant financial support. On a volunteer basis, all students take out one day every year to do various jobs and services in the local community and the money they raise all go directly into Stairway’s programs and activities. What is remarkable about our collaboration with Rødkilde is not only the millions of pesos they have contributed over the years, but also the fact that there is such a massive support of the project amongst the students. The International School in Manila (ISM) introduced the ICARE week in 1998 in their school. ICARE stands for International Community Actively Responding to their Environment. The idea is to expose their students to the diverse communities and social realities of the Philippines. Over the years, hundreds of students have traveled as far north as Sagada to help preserve the thousand-year old rice terraces, and as far south as Negros Occidental to build day-care centers for children. Stairway’s ICARE collaboration with ISM started with the presentation of Goldtooth, A Street Children’s Musical in 1999. The following year, in 2000, Stairway hosted an ICARE event for the first time, bringing children from diverse backgrounds for a weeklong exposure and interaction. It was a social experiment and a great challenge in our search for new approaches of advocacy in promoting children’s rights, and the main objective was to alter perspectives and stereotypes and develop sympathy, solidarity and friendships. It was such a success for everybody involved that it has become an annual event ever since. 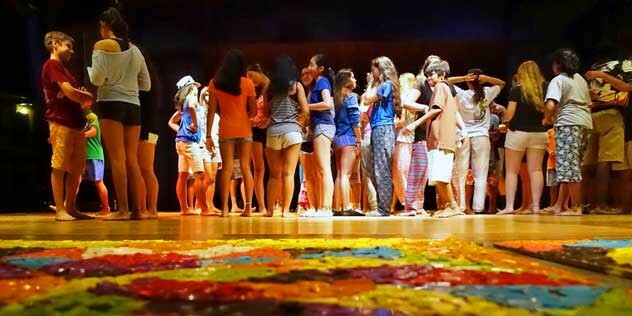 Further, as a result of former ISM teachers and students desiring to introduce the concept and the activity to their next school destination, we have had camps with students from India, Egypt, Korea, Singapore, Yale and Harvard, USA, most of them still ongoing. Stairway hosts camps for children and youth who want a meaningful life experience. As they interact with those staying in Stairway and in the community, they will be given a chance to appreciate how other children live. They will learn about their rights and issues affecting children, and hear first-hand how those who have been denied everything have enough resiliency to survive and change their lives for the better. The learnings are not all cognitive. The participants also enjoy lots of fun activities together, from playing group games, to making arts and handicrafts, holding non-competitive races in kayaking and swimming, learning how to communicate without relying on their verbal skills, and how to relate with a variety of people with backgrounds radically different from what they have been accustomed to. Stairway believes in and lives the principle of equality for all children. We hope that through our Youth for Change Camps, children and youth participants will be able to realize this, not only cognitively, but experientially as well. Become part of a growing group of young people from schools from around the world who want to make a difference in the lives of others! To book a camp for your school click here.